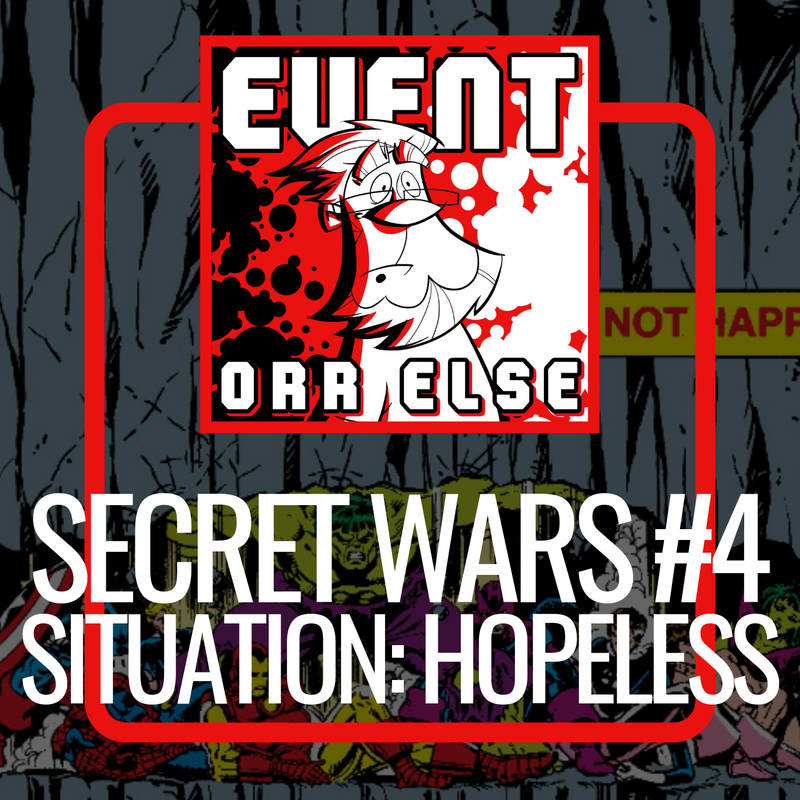 Event Orr Else – Secret Wars #4: Situation Hopeless! Thor takes on the villains alone, the Wasp takes on the X-Men, and the rest of our heroes have a mountain dropped on top of them. That must mean it’s time for issue #4 of Marvel Super Heroes Secret Wars. This entry was posted in Event Orr Else by Steeven. Bookmark the permalink.